Natural gas supply pressure min/max: 6"/7" W.C.
Propane gas supply pressure min/max: 10"/11" W.C. The decorative glass media is used to accentuate the contemporary look of the burner used in this fireplace insert and covers the burner ports for proper operation. 10 lb. bag covers 1/2 sq. ft. area with depth of 1"
The decorative rock media is used to complete the contemporary look of the burner used in this fireplace and covers the burner ports for proper operation. Stone sizes range from 2-1/2" to 4-1/2"
Wind guards prevent outages and provide additional safety for fire pits or fire pit inserts of all shapes - round, square, rectangle, and linear - by reducing flame disturbance. * Please Note: Modifications of product will void any certification and warranty. 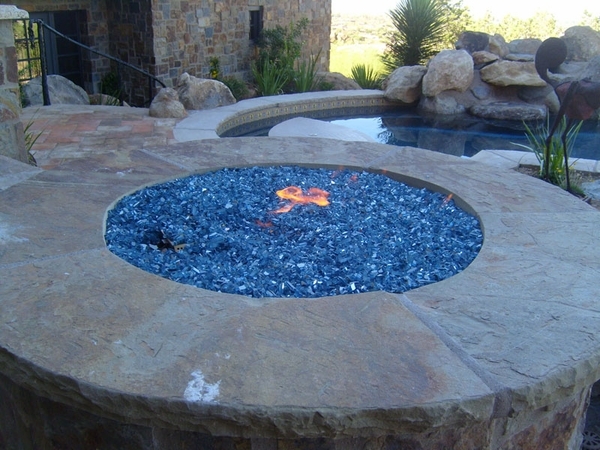 This 18" Hearth Products Controls round fire pit insert has a star-studded flare. 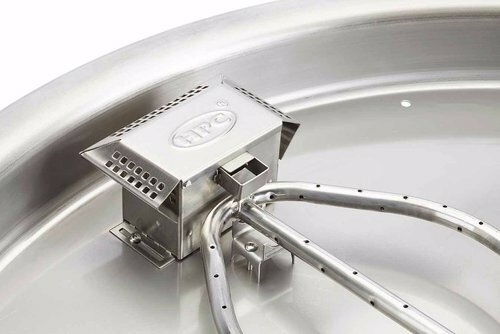 Manufactured from commercial-grade #304 stainless steel for durable care. Its 12" five-point burner makes your flames look realistic. Turn them high or low with your adjustment remote so they won't look simplistic. 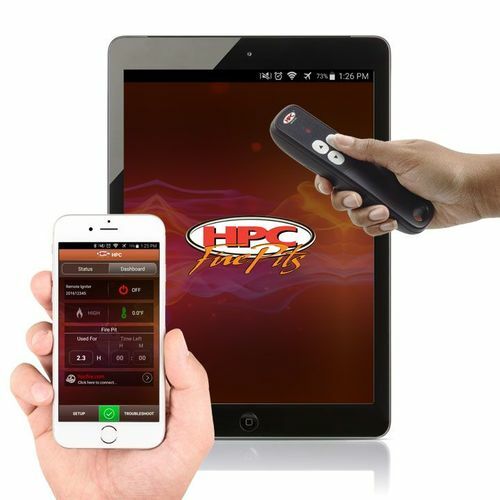 You can even use your smartphone or smart device with the app that's included. Everyone can have flame adjustment access so no one is feeling excluded. It has a really flat burner pan with weep holes built in for the water to drain. 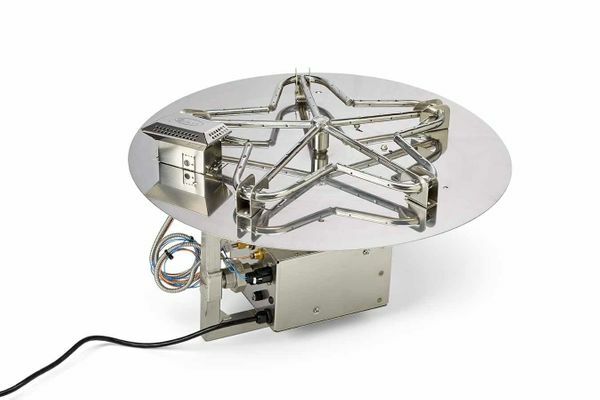 It is ideal for recessed enclosures with sidewalls that keep media constrained. Fueled by propane and a 120-volt power source, this certified product emits up to 65k BTUs of heat with force, of course. Do not forget your accessories, for they will come in handy. Get decorations and a cover so your pit won't get sandy. 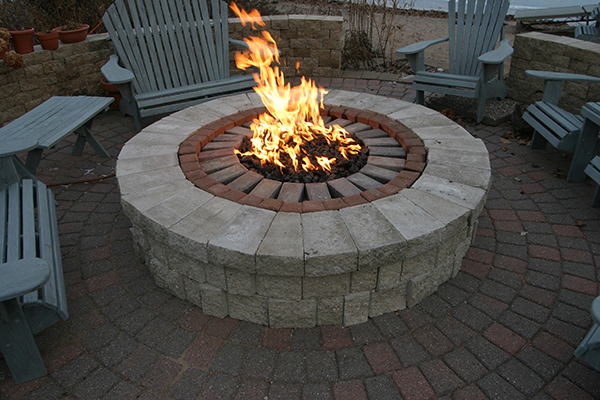 A couple of extra items will ensure your fire pit turns out right. Stop keys for emergencies and timers give you peace of mind at night. You may need a power supply adapter too, so your insert works well with the extras you choose.